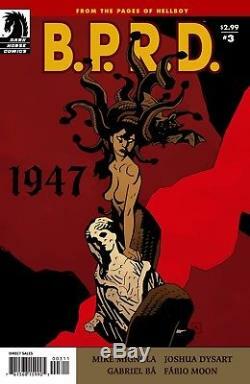 Check out this very nice action BPRD 1947 original art cover. 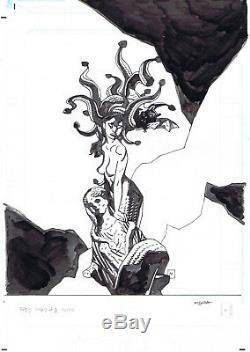 Which was penciled and inked by the great MIKE MIGNOLA. 11.5" x 17.5". The item "MIKE MIGNOLA BPRD 1947 n. 3 original cover art published&signed" is in sale since Friday, December 29, 2017. This item is in the category "Collectibles\Comics\Original Comic Art\Covers". The seller is "yakko23" and is located in Milano. This item can be shipped to United States.